You might only know Lego as a child’s toy. 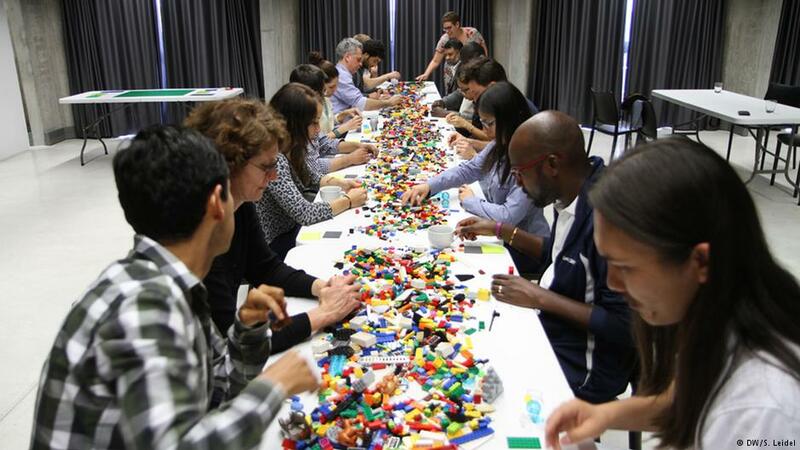 But Lego is also gaining popularity as an innovative facilitation method. 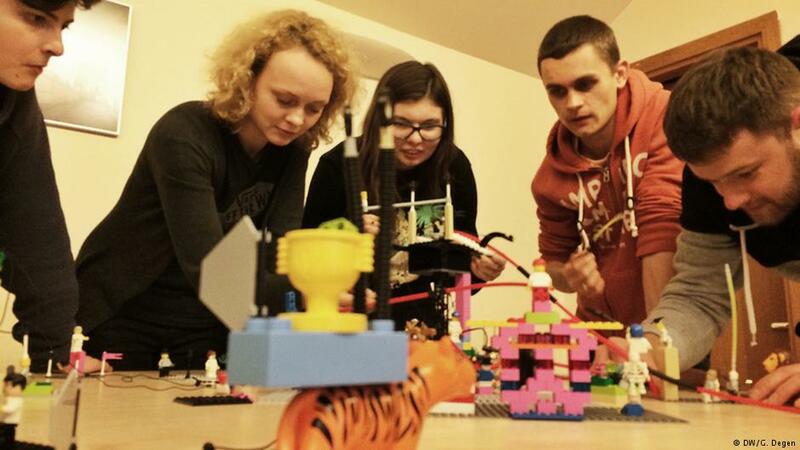 Trainer Guy Degen explains how he’s using Lego in journalism workshops and consultancies. 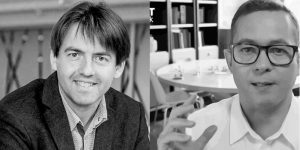 In 2014, DW Akademie had the idea of bringing together a group of innovative journalists and media specialists for a media dialogue about using digital technology. But we didn’t just want a talkfest, we also wanted a meaningful and tangible outcome. At the end of the four days, we wanted participants to create a manifesto with guiding principles for using digital technology to strengthen freedom of expression. That’s not an easy task when you’re working with 14 people from different countries, all with their own perceptions and ideas. “We need something different. Something creative. Something that will bring out new ideas,” said my colleague, Steffen Leidel, while we were planning the manifesto process. And fortunately, we stumbled over the idea of using Lego to help us – and booked a Lego Serious Play session with a facilitator. 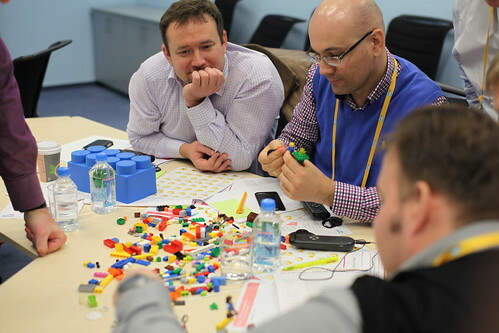 It worked amazingly well – even though some of the participants had never seen Lego before and others were initially very skeptical about ‘wasting time’ (their words) playing with Lego bricks. In the session, we used Lego to construct models around the questions of what contributions we as individuals could make, future visions for freedom of expression, and what principles should guide us. 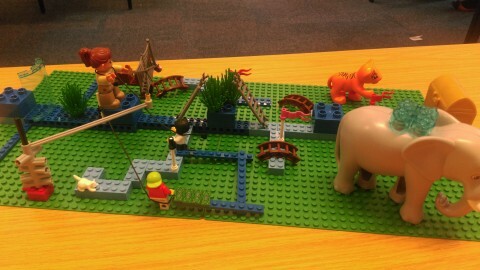 That was my first taste of using Lego Serious Play as a participant. I found the whole process very valuable and signed up to learn how to be a facilitator so I could use it in my work as a journalism trainer and media development consultant. A while back, Lego was looking for a way to strengthen innovative thinking and creative problem-solving within their organization because they were dissatisfied with the results of strategy meetings. That’s when they came up with Lego Serious Play (LSP). 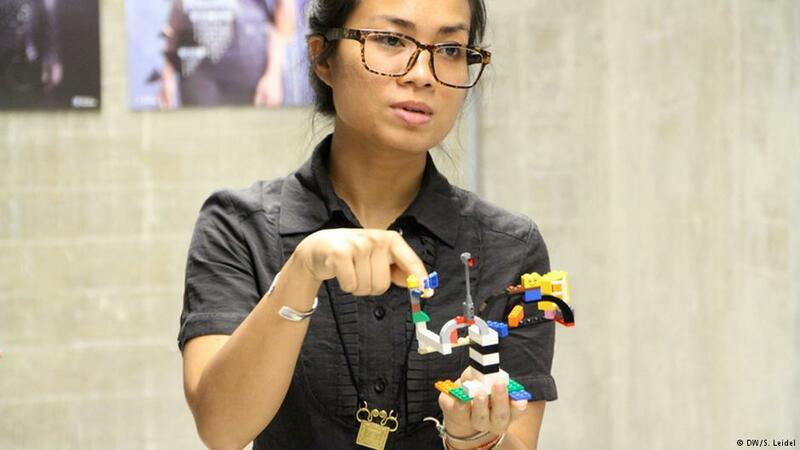 It’s a hands-on way of using Lego bricks to build models that allow people to express themselves and communicate with others in a completely different way. You can think of playing with Lego in a workshop as the ‘hand bone being connected to the brain bone’. And because the method is so interactive, it can unearth ideas that might not surface in a more traditional group meeting with something like a brainstorming session. You can find more in-depth information about Lego Serious Play in this open source document (pdf). 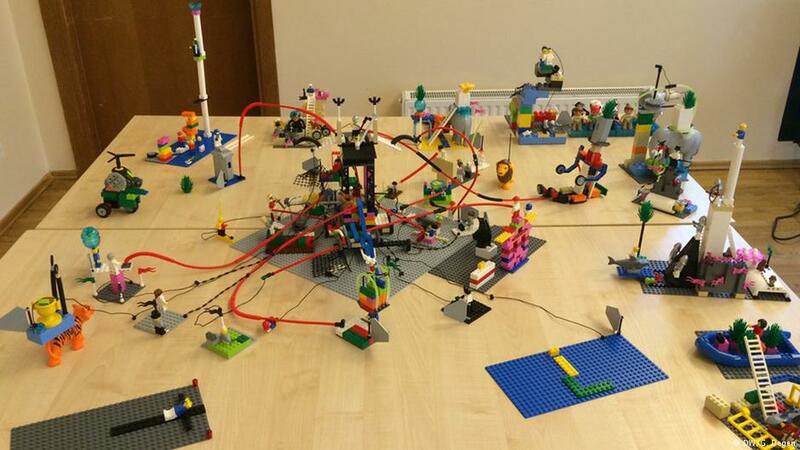 An important point to make, however, is that Lego Serious Play is just a tool. Yes, it’s a powerful tool, but you have to use the right tool for the right job. Working with Lego might not always fit your needs. But here’s an example of how I’ve found it useful. An online magazine in Belarus wanted to review their current editorial strategy and plan for the future, with a particular focus on attracting new audiences in their market. Team-building and creating a more cohesive newsroom were also high priorities; the magazine had seen a lot of staff turnover, and were now relying on freelance journalists and photojournalists. 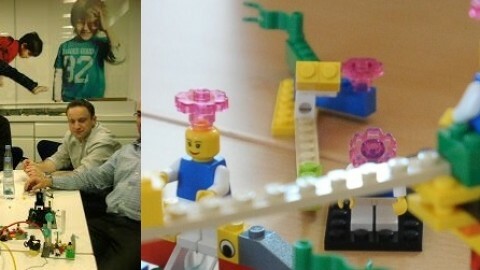 In a two-day workshop, I used Lego Serious Play to help the group explore their identity from several perspectives: as individuals, as an organization and how people outside the organization might view them. Step by step, it became apparent that “older hands” on staff had different perspectives and ideals from more recently employed staff. 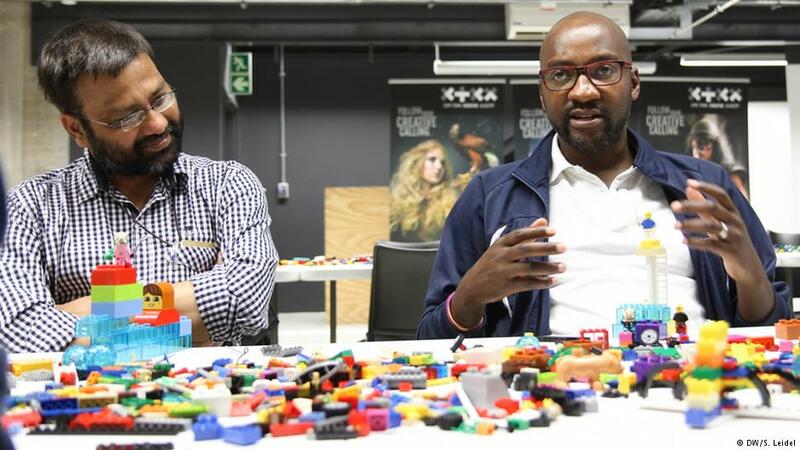 Together they used the Lego bricks to develop a shared model that defined their identity – a vital element missing from their earlier strategy. By visualizing a shared identity of their organization, they were then able to construct a landscape of their existing audiences and potential new audiences. It turned out to be a landscape rich in meaning to all staff, with multiple layers and connections. Everyone was able to point to models or elements in the landscape and explain to their colleagues where or how they might be able to make a contribution to attracting new audiences. As a facilitator, I really felt the participants’ excitement about discovering new things about themselves and their colleagues. I also noticed how they grew together during the workshop and how the spirit of teamwork evolved. Everyone was leaning in and contributing to a common purpose. Importantly, the LSP methodology offered a way for both senior and junior staff members to discuss their organization’s identity while respecting each other’s opinions and avoiding personal conflicts. LSP is designed primarily as a facilitation methodology, as opposed to a way of training people. As a facilitator you are working more as a guide – helping a group of people through a process to unlock and share their own knowledge rather than instructing or advising them what to do. Hence, I would recommend thinking very carefully about when to use LSP in a more formal journalism-training context. For instance, I find LSP works well for helping participants to visualize complex theories at the beginning of a course and facilitating the generation ideas for discussion. It still requires adhering to the four core steps. Once you have achieved that, you can put the Lego bricks aside and use more traditional forms of journalism training. 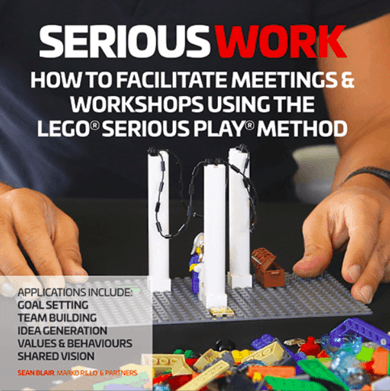 If you have a background in training or education, you’ll probably have a good sense of when and how to apply Lego Serious Play in a context to suit your needs. I would highly recommend journalism training organizations and media development agencies to look closely at Lego Serious Play and examine the possibilities of their trainers and consultants becoming certified facilitators. 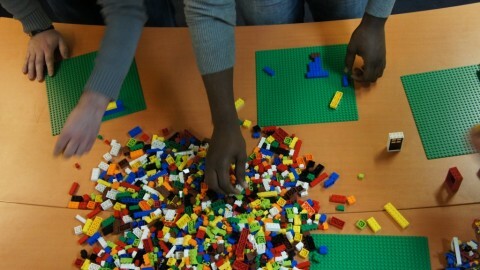 Learning through play is effective and it’s not surprising that the storytelling principles of Lego Serious Play resonate strongly with journalists who are, after all, professional storytellers.Moreover, as with Train-the-Trainer courses, providing the opportunity for leading trainers in target countries to acquire the skills of Lego Serious Play would be a valuable transfer of knowledge. 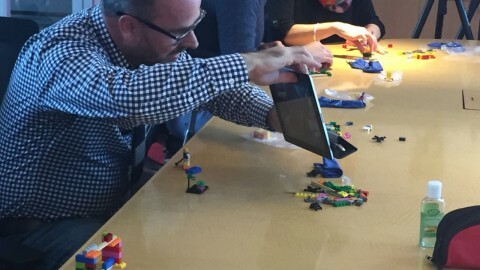 Personally, I’ve found that Lego Serious Play has both invigorated me as an educator and communicator and offered me a very creative workshop tool. Not to mention improving my Lego building skills when playing with my son! 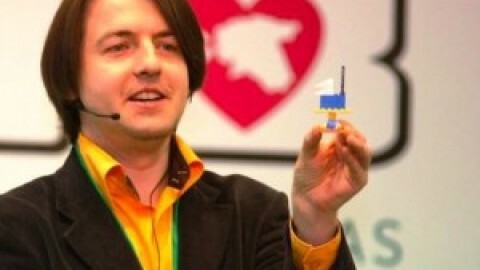 Guy Degen is a freelance journalist, trainer and certified Lego Serious Play facilitator. The New School with LEGO bricks! 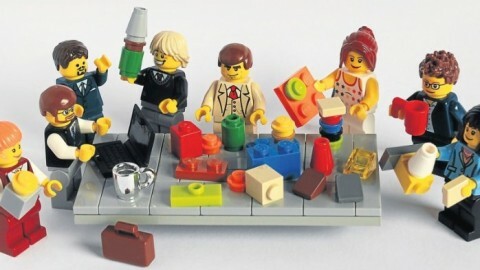 Review of Lego Studies: Examining the Building Blocks of a Transmedial PhenomenonHow valuable are your networks?